Dow Jones received a payment from EQS/DGAP to publish this press release. 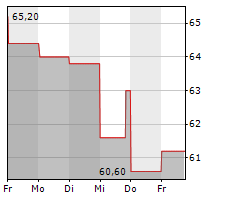 recommendation and a target price ("TP") of EUR95 per share (>20% upside). in-house based on the patented and clinically validated Carragelose platform. market leader Flonase, which had sales of c.$1.6bn in 2017.
sales of EUR1bn, of which dry eye accounts for 75%. and launch of new products. in Q2/2019E would lift our valuation to EUR107 per share. Compliance - Paul W. Dunne. GPSL has a formal client relationship with Marinomed Biotech AG. GPSL publishes and distributes "Investment" Research and "Corporate Sponsored"
inducement in a post-MiFID2 world, this is because the issuer is paying GPSL. marketing communication as defined by the Financial Conduct Authority ("FCA"). benefit as defined under FCA COBS 2.3A19(5). insights help our clients to stay at the leading edge of change. persons who qualify as retail clients. United Kingdom (Firm Reference Number: 225563). Research Tree , RNS Reach, Sentieo  and Thomson Reuters.